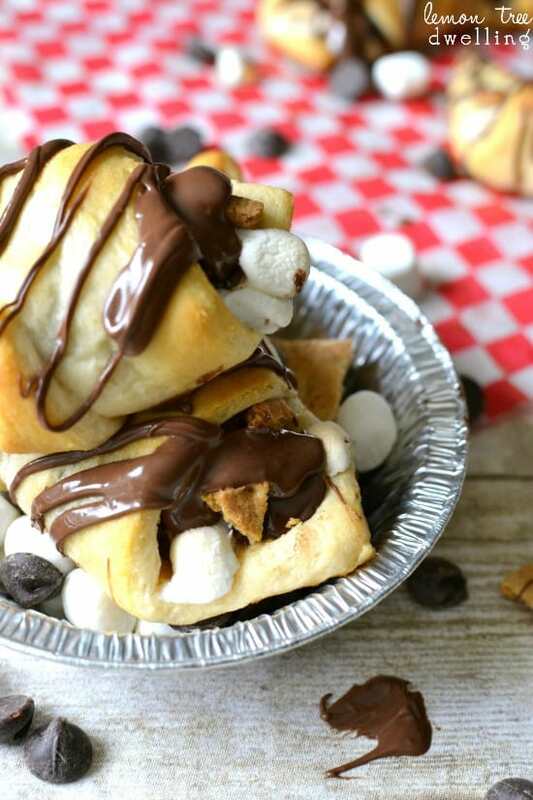 S’mores Crescent Rolls stuffed with chocolate chips, marshmallows, graham crackers and Nutella and topped with Nutella drizzle. Our favorite new way to enjoy s’mores! When we first moved into our house, just over three years ago, I was absolutely convinced we had made the wrong decision. There were so many things I didn’t like about it – from the dark entryway to the dark kitchen to the dark wood everywhere – and that was AFTER we had taken care of the worst of it! Sure, I had known it was a fixer upper…and I had convinced myself that I would be okay with the fixing up taking a while. But when reality struck that this was now “home”, I quickly changed my tune! I wanted a new front door that would let light in. I wanted all the woodwork to be painted white. And I wanted to hire an electrician to brighten up our kitchen (and the rest of our house while he was at it!) Oh – and I also wanted to demolish our screened in porch. Pronto! Lucky for me, I got everything I wanted…..except for the screened in porch demolition. Which turned out to be a GOOD thing, especially since the screened in porch is now one of my favorite parts of the house! All it took was a little paint, a little furniture, some brightly colored rugs, some hanging lanterns, and a summer spent enjoying the indoor-outdoor feel of it. And now…..I’m in love! I actually spent a day last week getting it ready for the season – sweeping the floor, arranging the furniture, rolling out the rug, hanging up the lanterns. Because as soon as warm weather strikes, that’s exactly where I’ll want to be! And when I’m not there, I’ll want to be sitting on the patio, or around the fire pit, roasting marshmallows, making s’mores and soaking up all the warmth I can get. Since patience clearly isn’t my strong suit, I decided I couldn’t really wait for warmer weather to get my s’mores fix. After all, I could still be waiting another month! 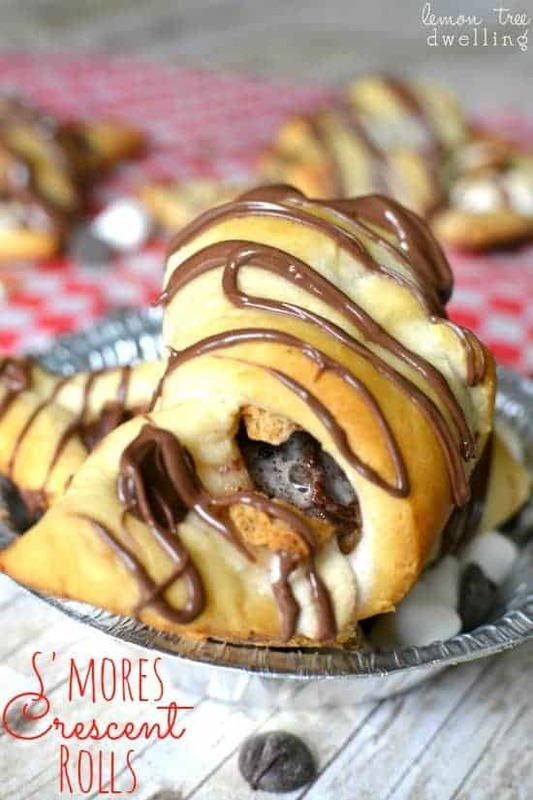 So I channeled my summer s’mores love into these tasty little crescent rolls, which are definitely the next best thing. 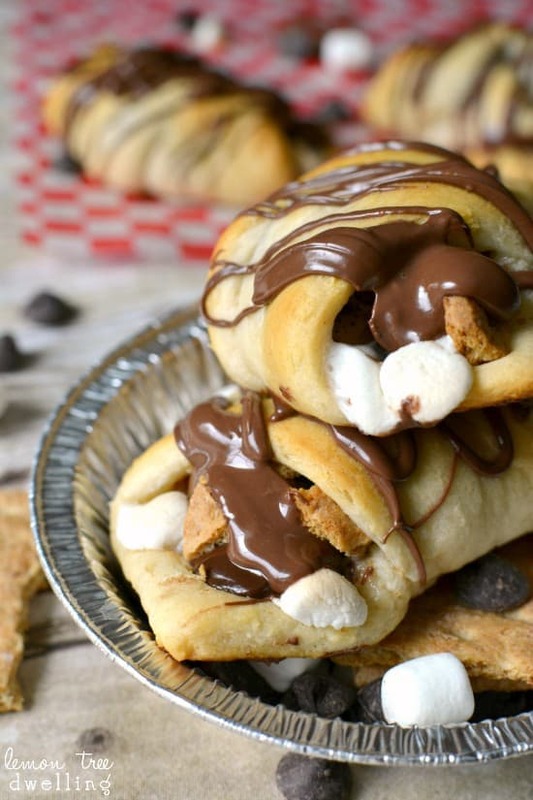 Or maybe even better….considering the fact that these are s’mores you can eat for breakfast! Unroll crescent dough into triangles. Top each with 1 tsp. Nutella, 8 mini marshmallows, 5 chocolate chips, and 1/4 graham cracker (broken into pieces). Carefully roll dough into crescent shape, starting at the wide end and working your way to the point. Bake at 375 degrees for 10 minutes or until golden brown. Drizzle with remaining Nutella (you may have to heat it slightly to make it the right consistency). 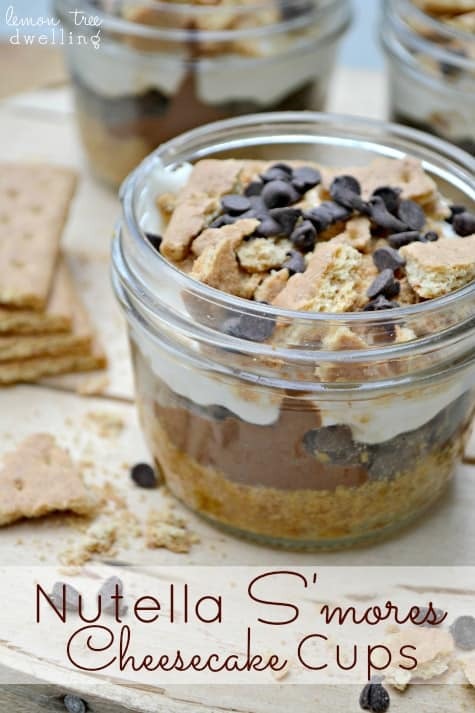 Be sure to check out my No-Bake Nutella S’mores Cheesecake Cups, too! 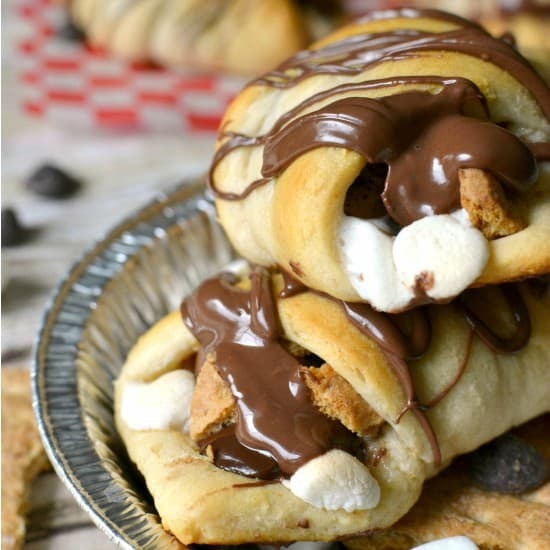 Smores just got better. Can I have a dozen please? what do you put them on when you put them in the oven? I am making these ASAP! They look amazing and Summer celebration worthy! I can’t wait!!! Yum! My kids would go crazy over this – we were just talking about needing to pick up marshmallows for smores the other day!! Smore’s for breakfast…GENIUS!!! You are amazing! Nothing I love more than a dessert for breakfast 🙂 Pinning these ones. Thanks so much Cathy! Hope you have a great weekend! I’m glad you’re loving your home so much now Cathy! These rolls are fab-u-lous! Pinned and shared on FB! My kids will LOVE these. Make sure you come by and link up for Tickle My Tastebuds Tuesday! These look just absolutely delicious. I need one right now! If you had a second to come by and link up with us at The Makers link party over on my blog, that would be great! Oh my word Cathy, these look dangerous!! 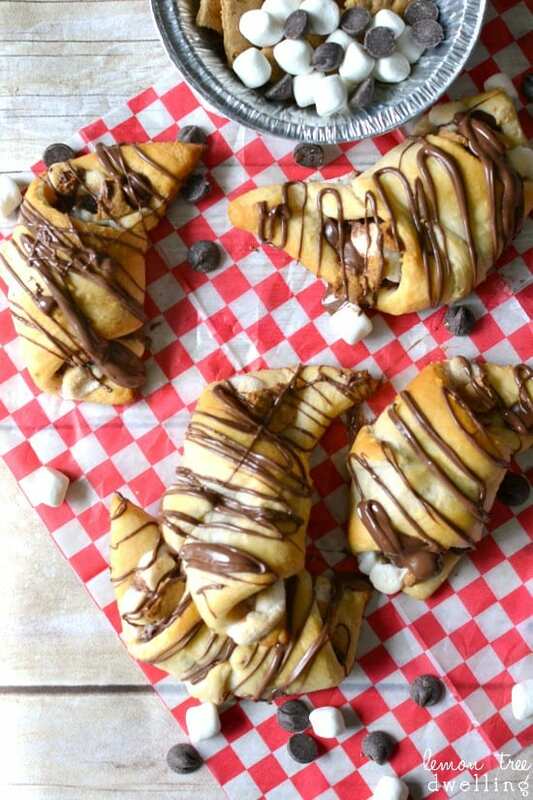 Any nutritional values on the smore crescents? Do these still taste good the next day? Or should I save half of the can of dough to make another day? They are definitely best when made fresh, but you could definitely reheat them a bit the next day and they’d still be tasty! 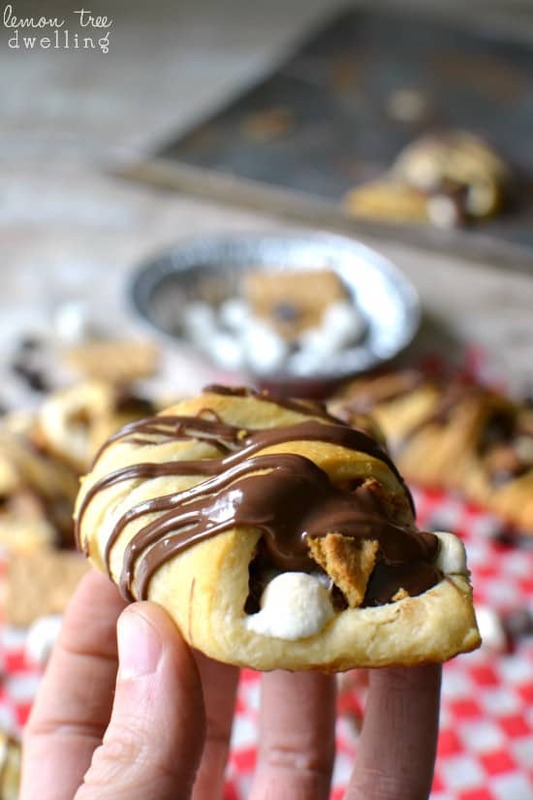 Cathy, this is my kind of way to eat a crescent roll – wow! Love this and absolutely have to try it – pinned and will be sharing on FB! Hope all is well and have a great Monday evening! Oh my gosh Cathy, those look insanely delicious! 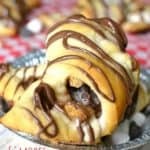 OMG Cathy – these look so ooey and gooey and I’m drooling over here! Fantastic! I’m just curious how I can make the dough. As I’m in Australi,I don’t know what kind of dough to look for here in the shops that would be the same…. 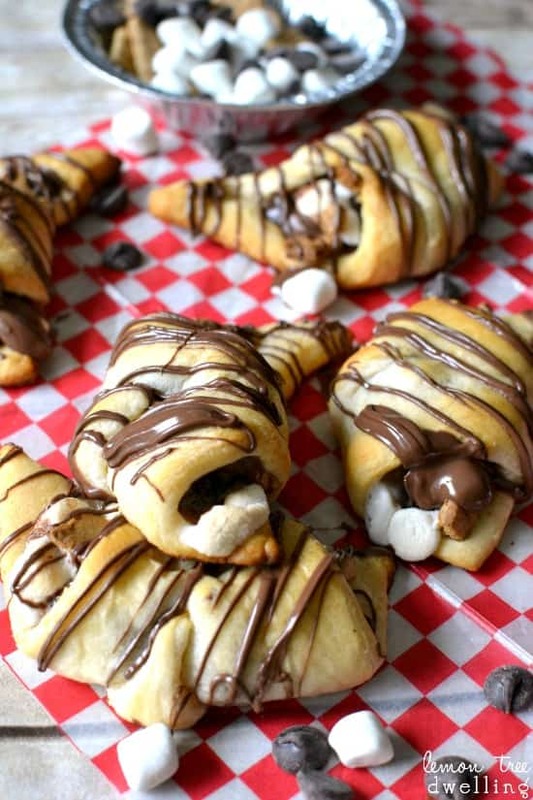 Unfortunately, I don’t have a recipe for homemade crescent rolls, but I’m sure you could find one online! Something for me to work on! What could I use in place of the Nutella? I did not have Nutella on hand, so I used creamy peanut butter. Of course, this changed the flavor, but they were a hit! Thanks so much for sharing……. Unlocker software is powerful tool which gives You full control over the files and folders that are locked on Your computer. This Software allows You to rename, move, or delete files or folders that are temporarily locked by other processes. these are super yummy and super easy to do! Great recipe. What can I use to substitute Nutella? Kids allergic to nuts. Printer Epson L220 is among the brand names of printers made by epson. Perhaps also Epson L220 is the most recent innovation from epson printer where printer is the printer upgradean of epson printer L210. Where on the printer L220 every one of its functions made extra contemporary as well as a lot more multifunctional.